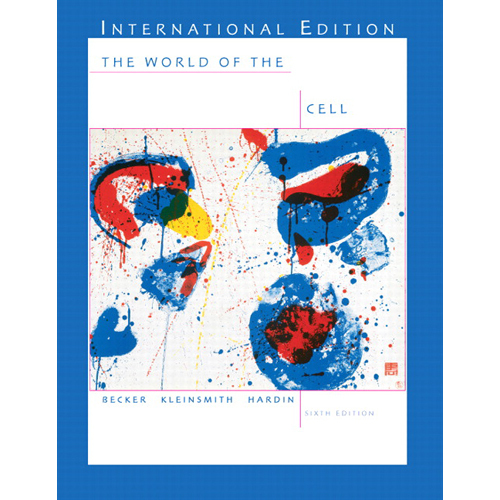 The World of the Cell, Sixth Edition continues the tradition of previous editions widely praised for covering some of the most difficult concepts for students – bioenergetics, metabolism, enzyme kinetics, thermodynamics, membrane transport, cell signaling, regulatory mechanisms, transcription and translation, signal transduction, and DNA replication and recombination – at the right level and clarity. The authors integrate coverage of modern molecular techniques and recent research advances without losing students in overwhelming detail. The World of the Cell's trademark features – Art that Teaches, Multi-level Problem Sets, Quick Check Concept Statements, Guide to Techniques and Methods, and Boxed Essays (Further Insights, Experimental Techniques, and Human Applications) – help students learn the process of science, not just facts. As cell biology continues to incorporate molecular biology advances, instructors can count on Becker’s text to provide strong coverage of basic biochemistry in an easy-to-follow framework, while also offering a balanced coverage of cellular metabolism.